and selected for the Traveling Exhibition hosted by three Galleries. 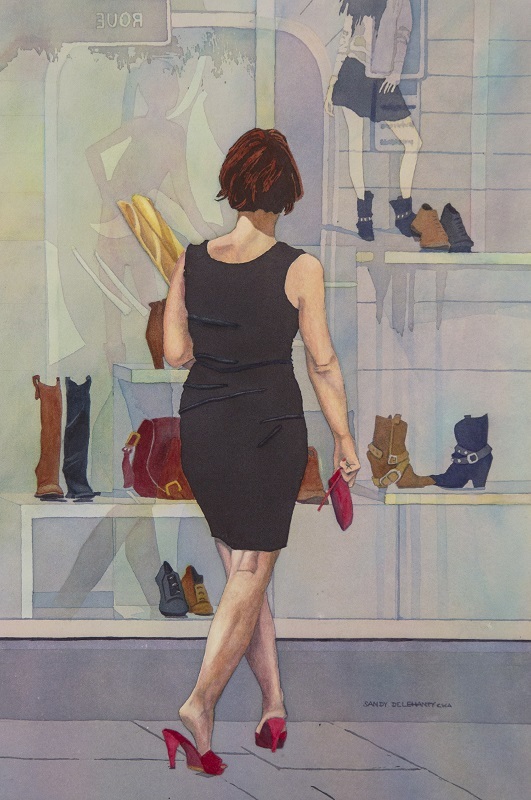 Little Black Dress Watercolor 18"x12"
Selected by jurors for the American Women Artists Haggin Art Museum Exhibition, Stockton California, 2018. 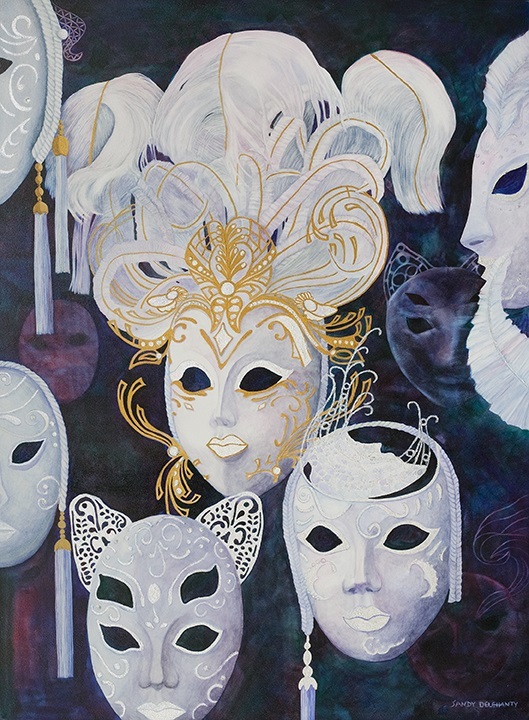 This painting was my third to be accepted into juried exhibitions of the American Women Artists earning Signature Status with the organization. Best of Show, “Animal House” National Open Juried Show 2018 Sacramento Fine Art Center, Sacramento, California. Juried into “Magnum Opus XXIX” Sacramento Fine Art Center National Juried Exhibition, 2018, Sacramento California. 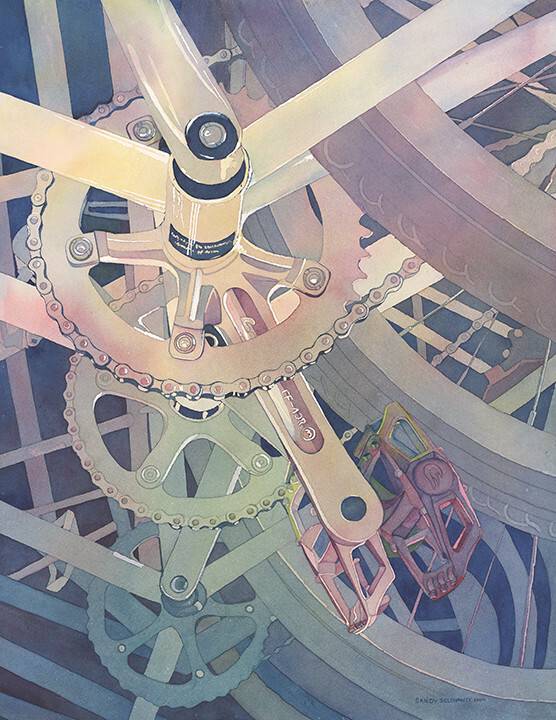 Pedal to the Metal Watercolor 24"x18"
Award of Excellence, American Women Artists National Juried Exhibition 2016, Bennington, Vermont. 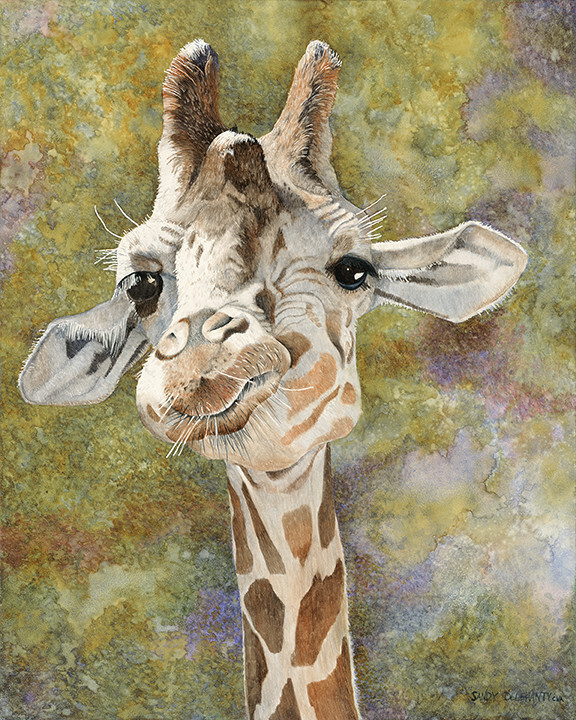 Juried into the California Watercolor Association International Juried Open Exhibition 2013, Pleasanton, California. 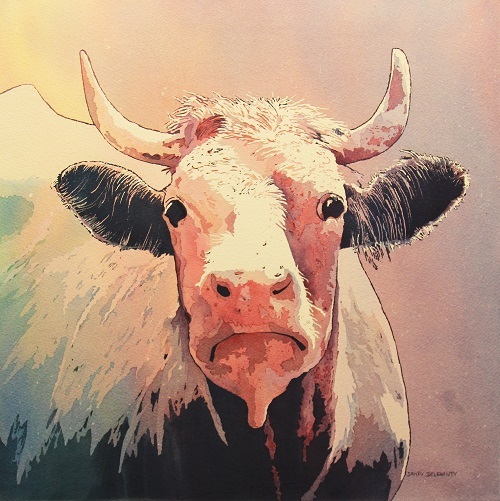 Gold Award, “Bold Expressions” Northern California Artists National Open Juried Show 2014, Sacramento, California. 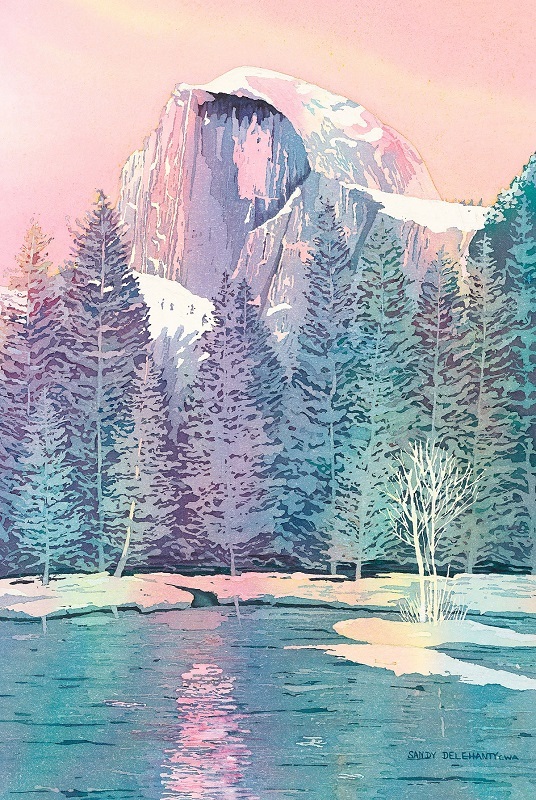 Published by North Light Books in “SPLASH 16” a collection of watercolor paintings chosen in a national competition. Awarded Second Place in the 8th Annual “Animal House” Open juried competition, 2013 Sacramento Fine Art Center, Sacramento. Published by North Light Books in “ART JOURNEY - ANIMALS” 2016 “A Collection of Contemporary Masterworks” chosen in a national competition. 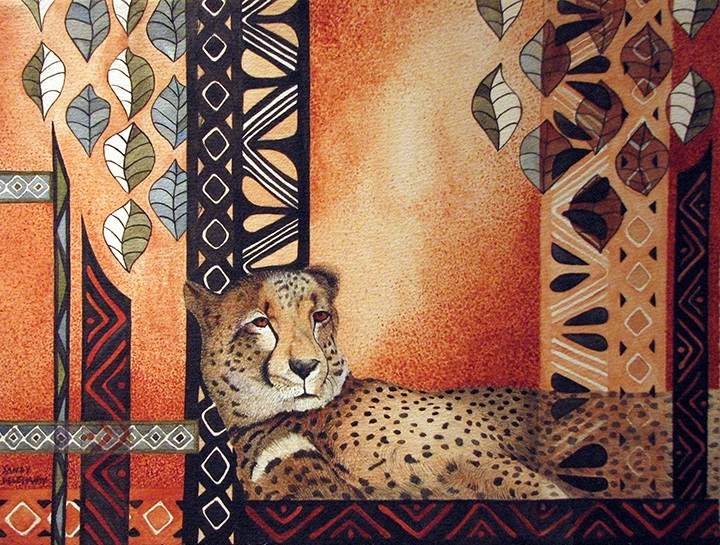 Published in Southwest Art Magazine article titled “The Essence of Animals” January 2016. President’s Award, “Bold Expressions” Northern California Artists National Open Juried Show 2011, Sacramento, California. 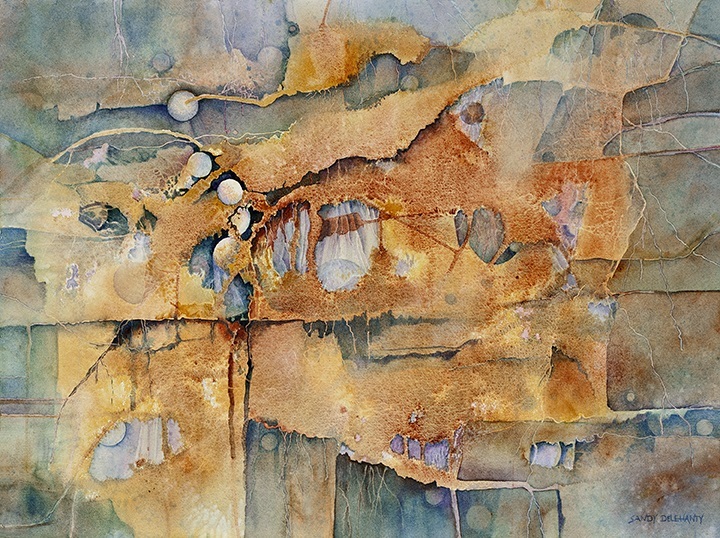 Juried into the California Watercolor Association International Juried Open Exhibition 2011, San Francisco, California. 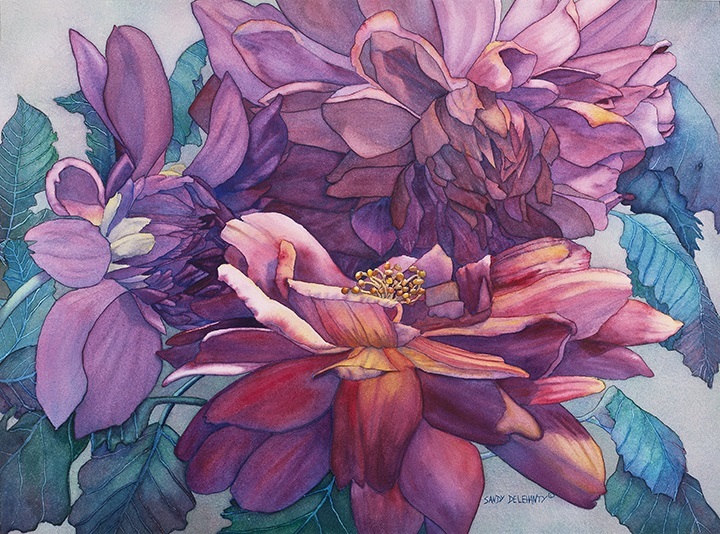 This painting was my third to be accepted in the California Watercolor Association’s annual International Juried Open Exhibitions earning Signature Status with the organization. 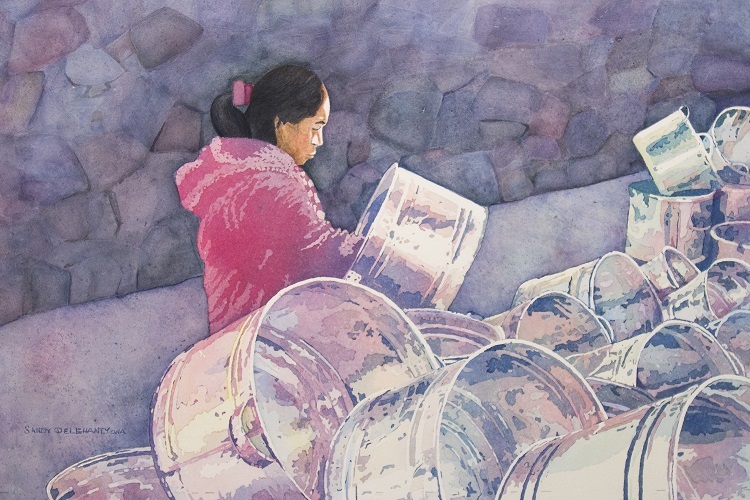 Juried into the San Diego Watercolor Society 29th Annual International Juried Show 2009, San Diego, California. 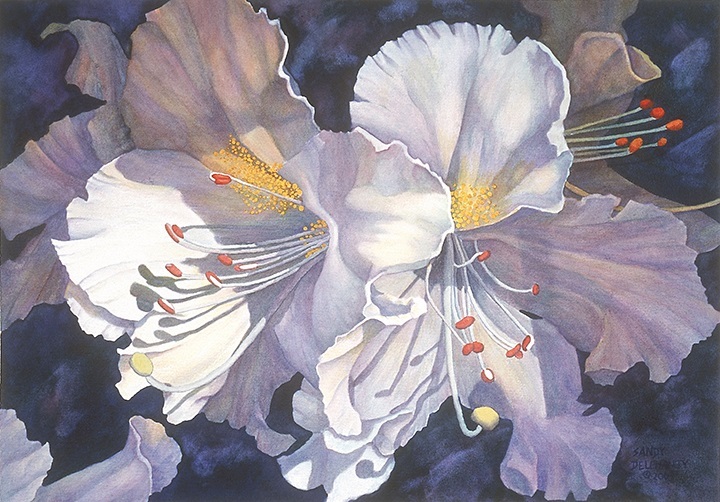 Selected as one of ten Finalists and Published in International Artists Magazine article, “The Best of Flower and Garden Paintings”, April/May, 2008. Juried into the California Watercolor Association International Juried Open Exhibition 2007, San Francisco, California. 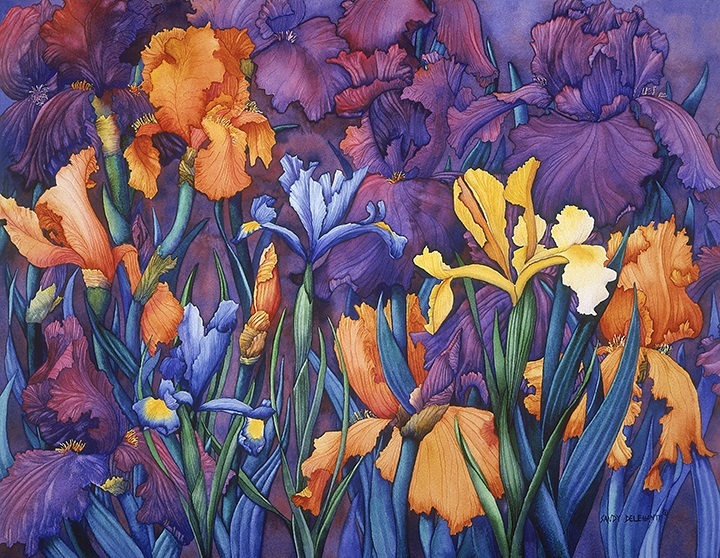 An Evening In May Watercolor 22"x28"
Published by North Light Books in “SPLASH 9” a collection of watercolor paintings chosen in a national competition. 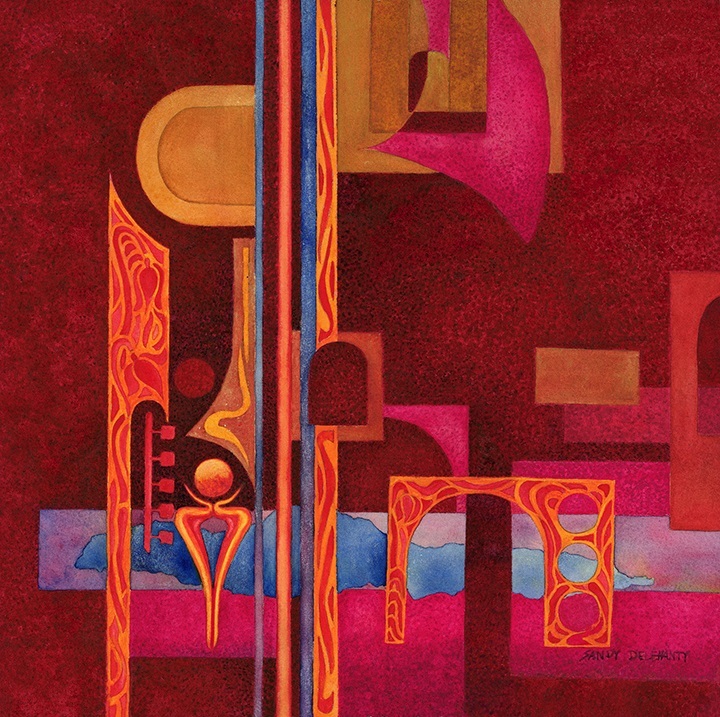 Juried into the California Watercolor Association International Juried Open Exhibition 1999, San Francisco, California.